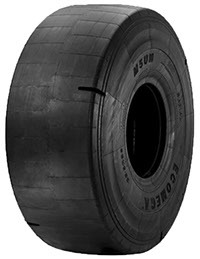 ECOMEGA M5UM tyre is a radial tyre for underground and mine service. It is a 250level tyre with a super extra tread. Designed for use in the most severe applications where traction is not an issue. It has the deepest tread depth available for maximum wear. The smooth design guarantees extra-long wear, excellent performance in hard rock quarry service applications. The extra heavy and reinforced sidewalls resist cuts and snags. The design and casing construction provides a large, flat tread and offers a greater impact resistance. 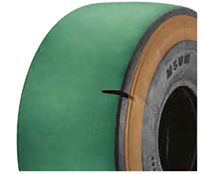 The casing moreover offers superior fatigue and bruise resistance. The anti-abrasion compound has been especially developed to increase tread wear and resist cuts and snags.